DUBAI – April 16, 2018: Dubai-based Al Kasir Group launched three Crypto assets backed by certified diamonds. Al Kasir Jewellery Trading and Al Kasir portal, a joint venture under the private office of His Highness Sheikh Ahmed Bin Obaid Al Maktoum, announced the launch of the innovative diamond trading model using the blockchain technology for the first time in the world. 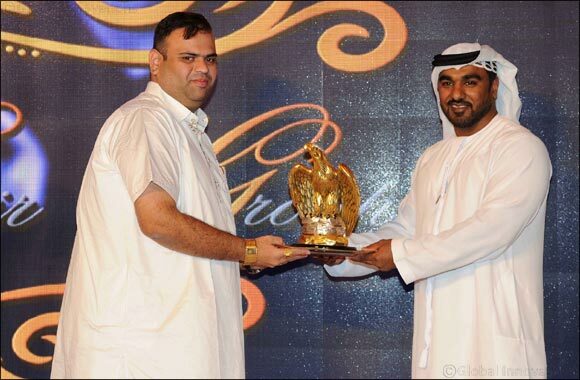 Al Kasir Group, a joint venture under the private office of His Highness Sheikh Ahmed Bin Obaid Al Maktoum and Dr. Amit Lakhanpal, Indian entrepreneur, property developer and director of the Al Kasir Group. “For the first time ever, the world is about to experience a set of three crypto-assets backed by IGI certified real diamonds. Being backed by a real-world Asset, these three crypto-assets: Al Mas, Al Haqeek and Al Falah are better capable to store and translate value due to a base measure or gauge around which their value revolves,” he added. The company announced the Pre-ICAO commencement during which these crypto-assets can be purchased on the company's online shopping portal with a bonus in store. Investors, who wish to buy these crypto-assets, will have a variety of packages to choose from, ranging from a minimum of USD 250 up to USD 250,000, against which he will be given Indian Gemological Institute (IGI) certified diamonds of the same value after the completion of ICAO (Initial Crypto Asset Offering). The company aims to attract buyers from all social and economic segments. “Diamonds are an ideal asset backing for crypto-assets since they are rare, taking a billion years to develop, have several millennia of history as a recognized store of value, and are small and therefore easily stored and transported. The three crypto-assets are designed to seamlessly address the need of security, combining the convenience of digital currencies by being utilised as crypto-assets with the stability of traditional assets,” he elaborated. According to him, the three crypto-assets are due to be traded on their own unique crypto-asset exchange with the flexibility of inter-changeablitiy of coins and trading directly against diamonds, precious gemstones, oud, Bakhoor and attar to add more value. Dr. Lakhanpal is the founder and CEO of the Money Trade Coin Group. Author of a book titled ‘The World of Crypto Currency', Dr. Lakhanpal is also the Chief Managing Director of real estate development agency named Flintstone Group and the founder of FlintBeats, an event agency founded in 2015.